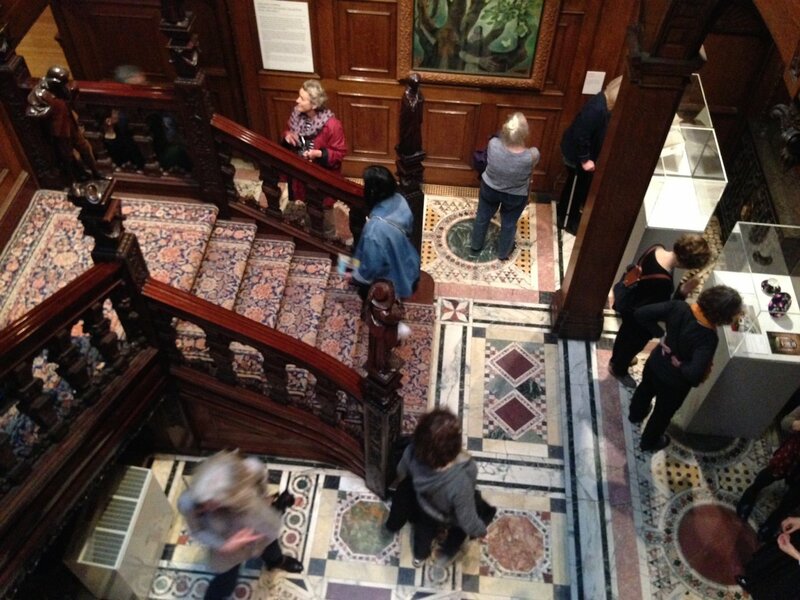 You’ve just a couple of weeks to catch the free London exhibition Sussex Modernism: Retreat and Rebellion on at Two Temple Place until 23 April. I visited a few weeks ago and found it really tied together various bits and pieces I knew about the county’s cultural heritage. 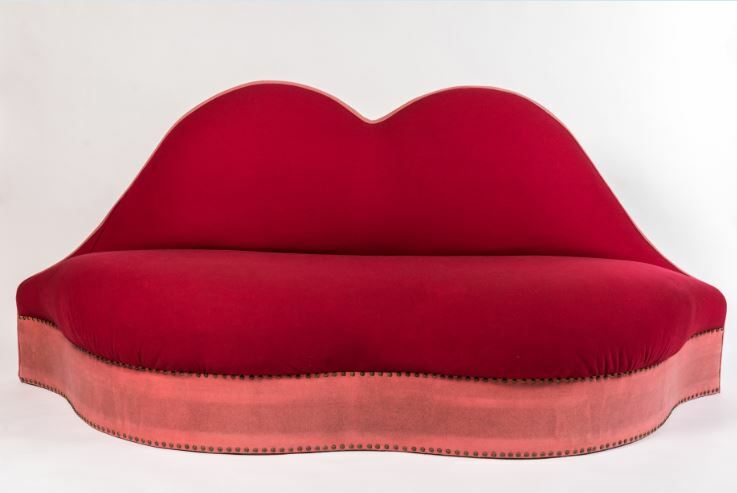 There were several items that were familiar to me – like the Dali lips sofa from Brighton Museum and the carved rollers from Ditchling’s Museum of Art + Craft, alongside plenty I’d never seen before. 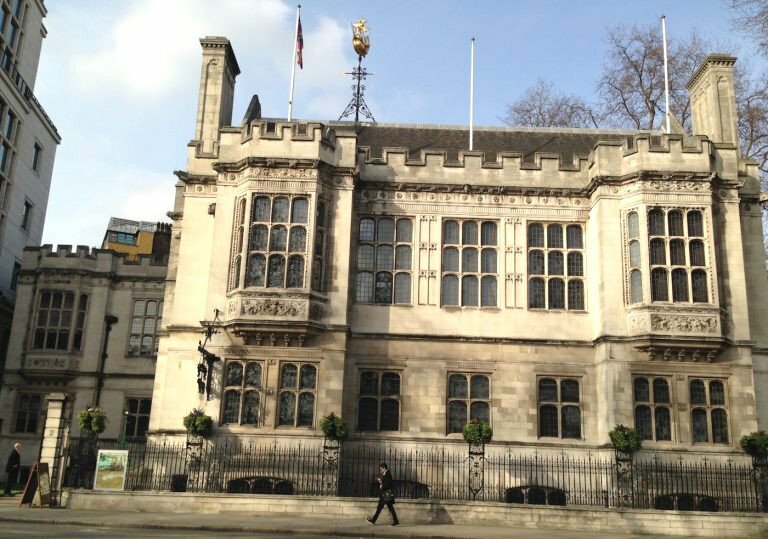 Best of all Temple Place on Victoria Embankment is a beautiful building in its own right and unless you book a wedding here you have to wait until an exhibition rolls around to visit. Sussex Modernism gives some explanation as to why the county became an artisits’ hotbed in the first half of the 20th century with, among many other examples, the Bloombsury Group at Charleston House, a Catholic guild at Ditchling creating the ‘Village of type’, Picasso and Henry Moore visiting Lee Miller and Ronald Penrose at Chiddingly and the modernist De La Warr pavilion (once destined to have a rather lovely swimming pool) breaking new ground at Bexhill. 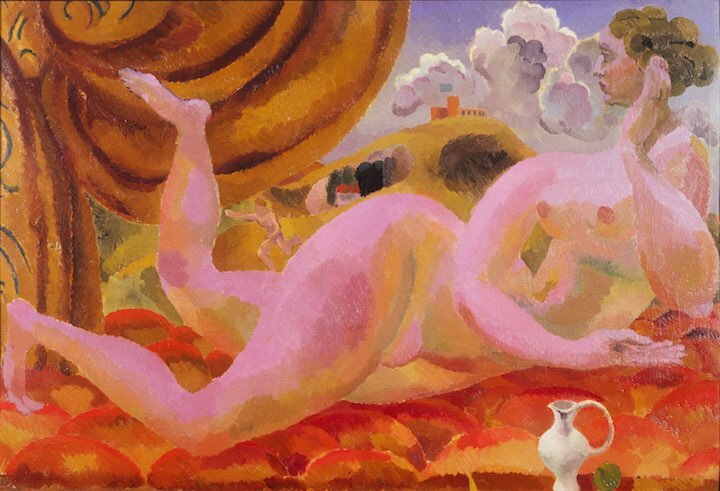 The artists brought unconventional ideas and while some were escaping wartime London, they challenged the idea of Sussex as an idyllic escape, sometimes shocking their adopted communities. 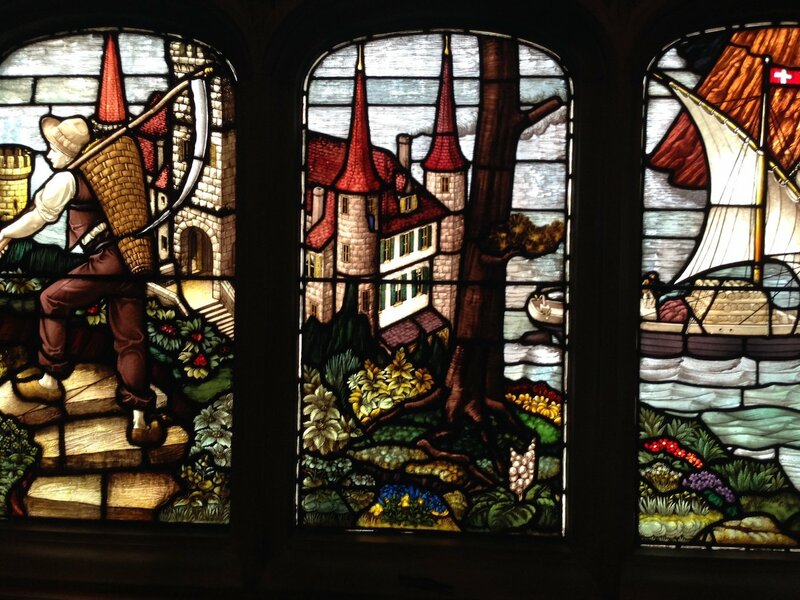 Nine Sussex museums and galleries have lent artefacts and there are also pieces from collections held elsewhere. I was particularly taken with a painted chest by Duncan Grant, and a traditional carpet incorporating a not-so-traditional footprint design. I loved reading the controversy created by the De La Warr pavilion – cartoons in a vintage local paper lampoon the spend – and watching the slightly surrealist film about Littlehampton’s fishing fleet which ends with a vengeful lobster breaking through a restaurant menu. By the look of the visitors book plenty of Sussex residents have been dropping in. While you’re there you can get an eyeful of the lovely Neo-Gothic Temple Place with its showy central staircase and fabulous stained glass windows. There are a few tie-in events still to run too like a free jazz evening on Wed 19 and a tour of Temple Pace (£8) on Sun 23.